Bhushan Kumar and Remo D’Souza bring Varun & Shraddha together again for a dance video called ‘High Rated Gabru’. The hit jodi of ‘ABCD 2’, Varun Dhawan and Shraddha Kapoor, will once again be seen together in a special song for the film ‘Nawabzaade’, directed by Jayesh Pradhan and presented by Bhushan Kumar and Remo D’Souza. The duo will recreate ‘High Rated Gabru’, the Punjabi chartbuster, sung by Guru Randhawa, which has already crossed 220 million views on YouTube. ‘Nawabzaade’ features the actors from ‘ABCD 2’, Dharmesh Yelande, Raghav Juyal and Punit Pathak in lead roles and choreographer Remo D’Souza has recreated the song in a Mumbai studio. Shraddha was equally excited about reuniting with ABCD 2 team. 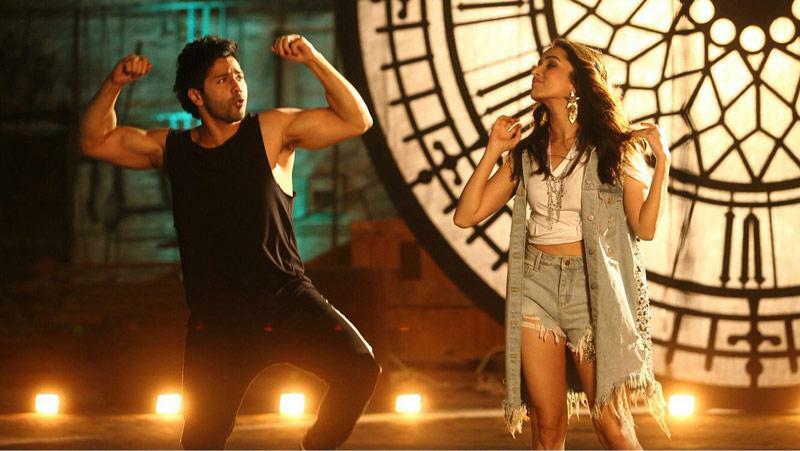 “I was all charged to work again with Bhushanji, Remo sir, Varun and a few others from the ABCD 2 gang. When I got to know that we are going to be shooting a video for High Rated Gabru, I got even more excited because the song is fantastic and so loved. The whole experience of shooting it was fun. I felt nostalgic,” chirps Shraddha. Jacqueline Fernandez on Race 3: The whole cast is really excited about the film! Actor Sidharth Malhotra to play a Bihari thug in Ekta Kapoor’s Shotgun Shaadi?